Reiki, which is defined as “a Japanese technique for stress reduction and relaxation that also promotes natural healing”, is a system of natural healing and self-improvement used by thousands of people worldwide. Reiki is based on the idea that every single person has a “life force energy” that flows through us and allows us to be alive. If our “life force energy” is low, then we are more likely to feel stress or become ill. Many individuals have reported miraculous results when they have taken advantage of this wonderfully natural healing system. Reiki has been used to treat every known illness or malady, and is a simple and safe method that can be used by anyone and everyone. Since it always creates a beneficial effect, it can be used in conjunction with other medical or therapeutic treatments to promote recovery, or even prevent an illness or problems from ever developing. Whether you are trying to improve physical health, emotional well-being, reduce stress, or achieve mental clarity, Reiki is bound to help you. Because it has had proven benefits, it is even now utilized as complementary conventional therapy in a number of hospitals around the world. Used in conjunction with modern health care a patient already receives, Reiki has outstanding positive effects on your mind, body, and spirit. This ancient Eastern method of healing and balance is one of the oldest and most versatile healing systems in use. Some may ask, “How does it work?” Reiki itself is spiritual in nature, but you need not believe in it with a pious heart in order to gain the health and emotional benefits it produces. The process of Reiki centers on the banishment of pain and ailments and focuses on bringing the body in sync with one’s “true form”. 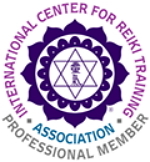 The Reiki is performed by trained masters who have studied, practice, and perfected the system. In order to heal a recipient, the Reiki master places their hands over the affected area and allows energy to flows from their hands into the body of the recipient. Here, the Reiki master only directs energy which is directed through a higher medium and flows where it is can benefit the recipient. If you are interested in a natural, safe, and simple way to improve your overall health, reduce stress, and calm emotional distress, you needn’t look farther than your nearest Reiki master.